Jonny (left) is a Staffordshire Bull Terrier who was rescued from Michael Vick’s dog fighting operations. In 2012, he received the most votes to win the prize of Most Beautiful Dog in the Top Dog Photo contest sponsored by soft toy manufacturer, Gund. Through love, care and attention, Jonny was rehabilitated and now helps children who are learning to read. 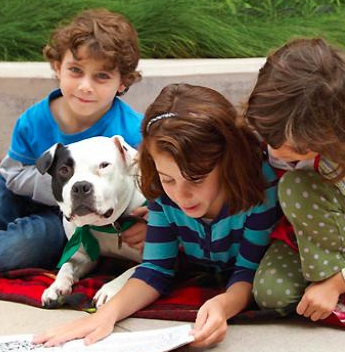 The children read aloud to Jonny, who is attentive and always non-judgmental. Jonny has been immortalized in a soft toy by Gund. Measuring eight inches, you can buy Jonny for US$25. It’s been just over two weeks since 367 lives were saved in a multi-state raid in the United States, the second-largest dog fighting raid in U.S. history. The Humane Society of the United States and the ASPCA® (The American Society for the Prevention of Cruelty to Animals®), called in by the United States Attorney’s Office and the Federal Bureau of Investigation (FBI), assisted in seizing 367 dogs in Alabama, Mississippi, and Georgia. Dogs were found in appalling living conditions, with little shelter from the area’s sweltering summer temperatures. Federal and local officials also seized firearms and drugs, as well as more than $500,000 in cash from dogfighting gambling activities that took place over the course of the investigation. Remains of dead animals were also discovered on some properties where dogs were housed and allegedly fought. If convicted, defendants could face up to five years in prison, as well as fines and restitution. The dogs, which ranged in age from days-old puppies to 12-13 years, are now receiving medical care and are being assessed for adoptive homes. The rescue was the result of many agencies working together. Agencies assisting the ASPCA and the HSUS with the operation included the Florida State Animal Response Coalition and Sumter Disaster Animal Response Team (Bushnell, Fla.), University of Florida (Gainesville), Humane Society of South Mississippi (Gulfport), International Fund for Animal Welfare (Yarmouth Port, Mass. ), Asheville Humane Society (Asheville, N.C.), Charleston Animal Society (Charleston, S.C.), Louisiana SPCA (New Orleans), American Humane Association (Washington, D.C.), Greater Birmingham Humane Society (Birmingham, Ala.), Atlanta Humane Society (Atlanta, Ga.), PetSmart Charities (Phoenix, Ariz.), Code 3 Associates (Longmont, Colo.), Montgomery Humane Society (Montgomery, Ala.), and Dr. Melinda Merck. When I first walked on the property, I stared across the yard and saw more than 100 dogs, most of them tied to heavy log chains, anchored to dilapidated dog houses. The dogs ranged from old to young, living on a worn dirt ring that likely had seen generations of dogs come and go to a sad fate. 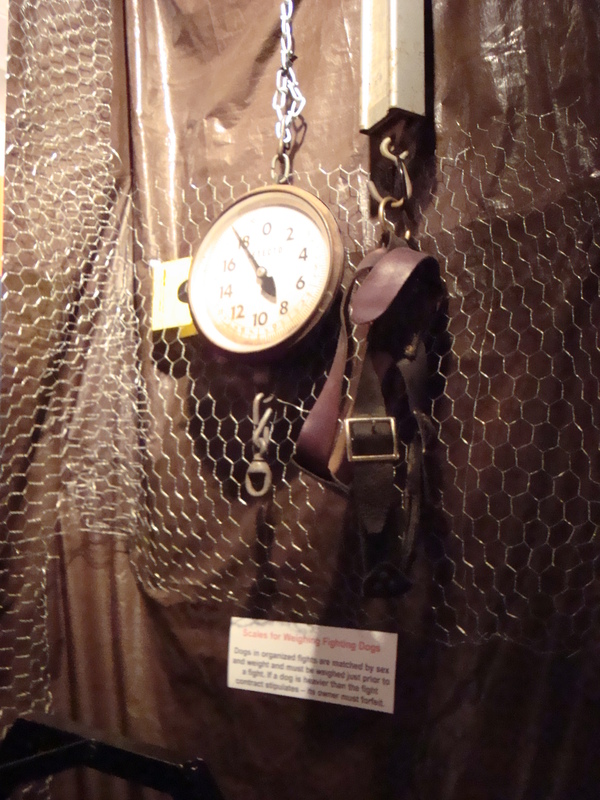 Most were chained nose-to-nose to their neighbors to ensure continuous arousal. This cycle begins with being chained at such an early age with little to no positive human or animal interaction. The burden continues with heavy chains, often with additional weights, to drag around their entire lives. The constant noise, arousal and anxiousness push them towards aggression to or from their yard mates. If they don’t respond, their life may end quickly, but if they do, they have sealed their fate of a long, torturous life. 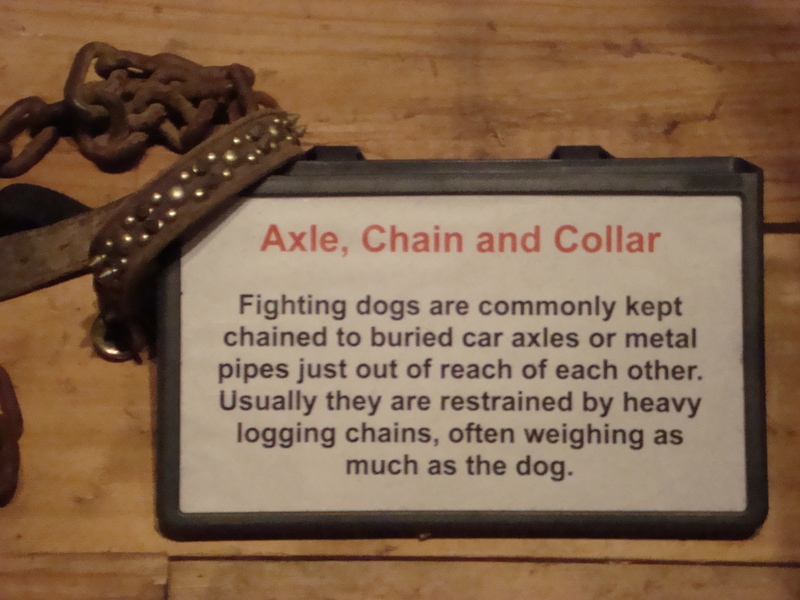 Their only reprieve from the chain is death or brief release to be tested against another dog, eventually going back to the chain with little attention to their wounds. What follows is weeks of intense training and significant human interaction with the person who will commit the ultimate betrayal and force them into a barbaric battle for entertainment and profit. If they survive, they go back again to the chain: A vicious cycle that could go on for years until these dogs finally have no value or fight left in them and are discarded. Donations to support the care and rehabilitation of these dogs, to any of the organisations involved, will be gratefully accepted. 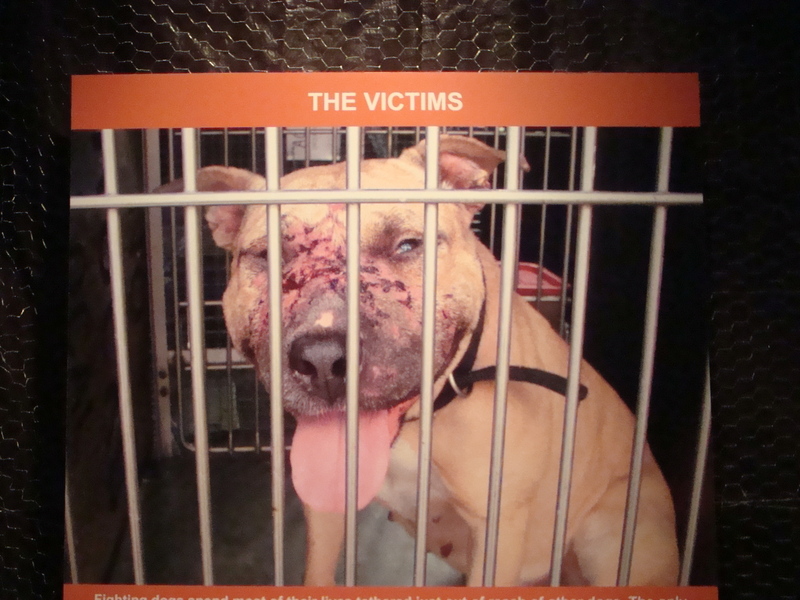 Dog fighting is a crime and one where the victims (the dogs) have no voice. 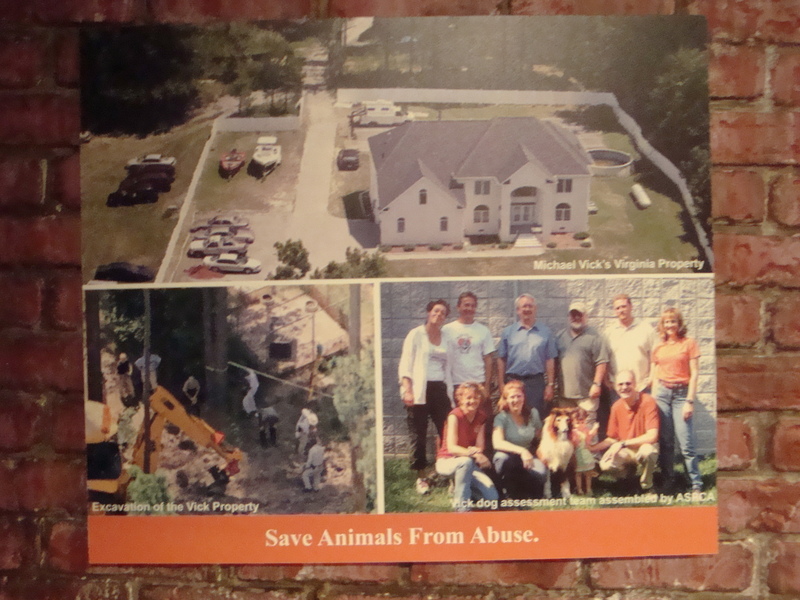 Luckily, animal welfare agencies such as the ASPCA are involved in investigating and prosecuting cases. 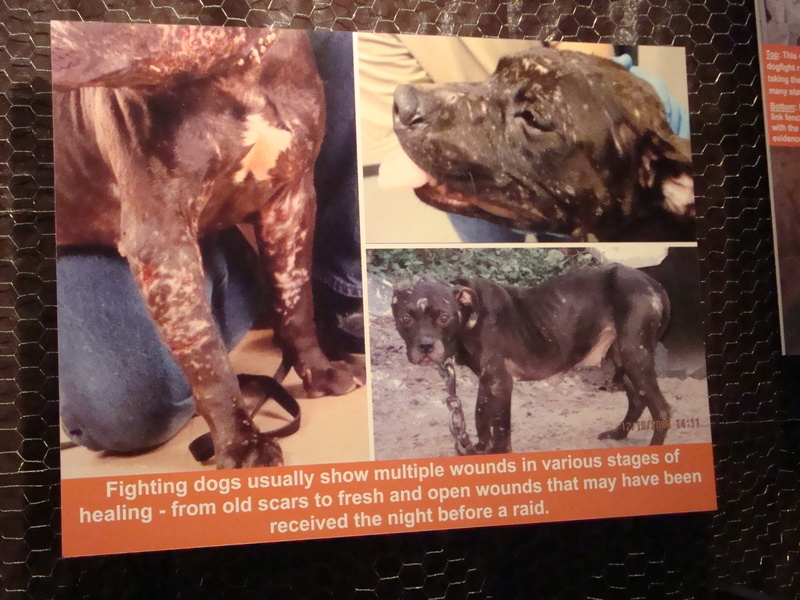 Successful prosecution is not easy – it takes a lot of effort to investigate and raid dog fighting rings. Increasingly, dogs who are rescued are assessed for behaviour and may be directed to welfare agencies for rehabilitation rather than immediate euthanasia. The investigation into Michael Vick’s kennels was a turning point in many ways; for the first time there was an offender who had the finances to pay reparation that would support rehabilitation of fighting dogs. I’ve just finished reading Oogy: the dog only a family could love by Larry Levin. 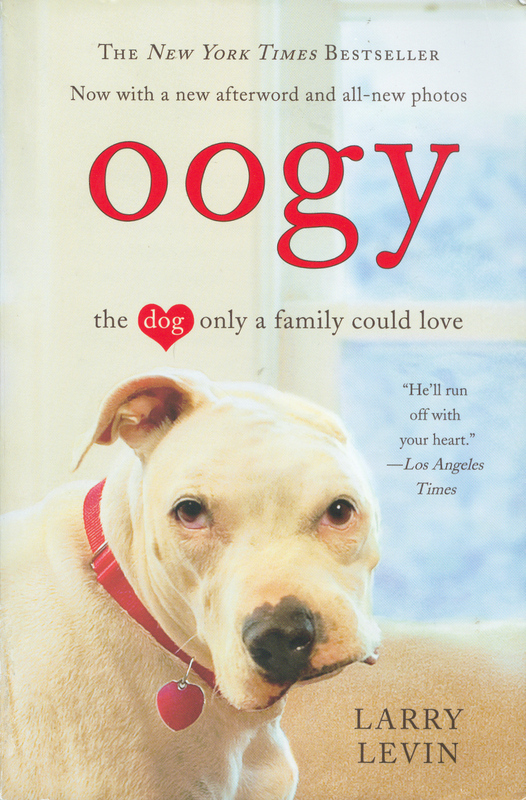 This New York Times bestseller tells the story of Oogy, a puppy that had been used for bait in dog fighting, and the Levin family who adopted him. In many ways, this is a story about fate. Fate in how a badly injured Oogy was brought to an animal hospital offering after-hours treatment. Fate because a woman who worked at the hospital (later called ‘Saint Diane’) recognised Oogy’s special character and intervened to ensure Oogy got life-saving treatment and care. Fate because the Levin family met him when they had brought their sick cat to be put to sleep and decided to adopt him. Oogy lost his left ear and and a good portion of his jaw and face to dog fighting. It appears that he was used as bait because he wasn’t a good fighter and then left in an abandoned house to die without care or attention. The Levins named him Oogy because it was a derivation of ‘Ugly.’ Mr Levin is the first to admit that when he first met Oogy, his appearance was grotesque. (The dog had a lot of scar tissue which was operated on later.) 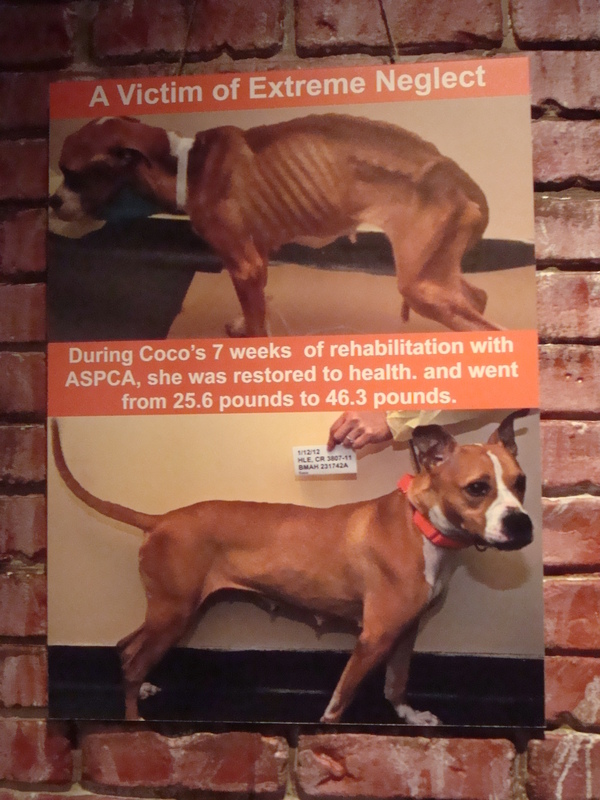 In fact, Oogy was so disfigured that, because of the connection to dog fighting, everyone assumed Oogy was a pit bull. Read this book and enjoy the Levin’s journey with Oogy. Read about how his charm wins over residents who were scared of him; read about the care the Levins provided for Oogy, seeing him through corrective surgeries as well as rehabilitation from cruciate ligament ruptures. Michael Vick is known for two things: NFL football and dog fighting. The win has sparked outrage amongst animal lovers and activists in the United States with a petition on Facebook to boycott the Subway restaurant chain (No Way Subway). There are those who say that, as sponsor of the award, the Subway corporation cannot influence the outcome of voting. Others with experience in the management of professional sport say that the restaurant chain’s management would have been told of the outcome of the voting regardless of the winner – giving them time to prepare publicity about it. Protestors say that this would have been an opportunity for Subway to distance themselves from the winner if they had wanted to. This debate opens up wounds that are still fairly recent for most dog lovers. Michael Vick pleaded guilty for his actions that spanned the years 2001 – 2007 as a co-conspirator and financial backer of a dog fighting ring. That’s over 6 years of criminal behaviour and only 4 years later, he’s back playing NFL football, earning big bucks for it, and – now- public accolades. Is it time to forgive Michael Vick? 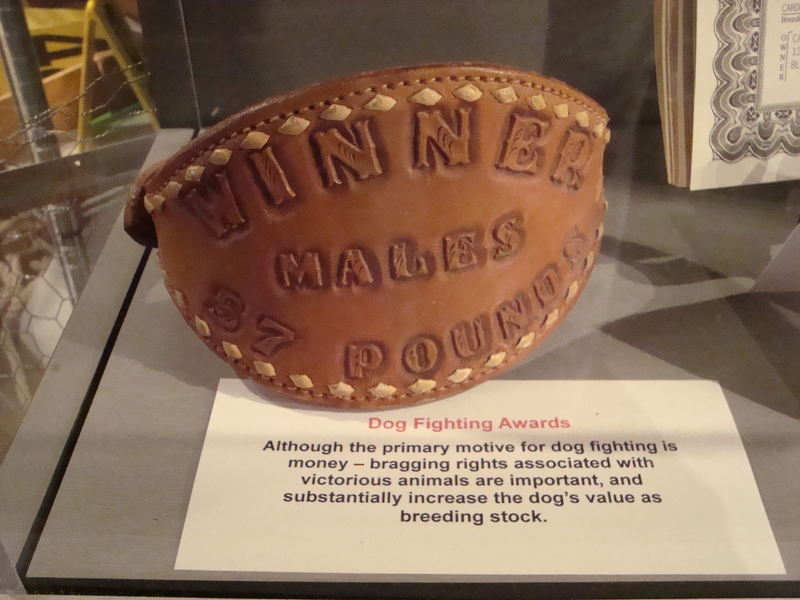 The details behind the Vick dog fighting ring are not pretty. The pit bulls involved in the operation were terrorized to make them mean and angry. 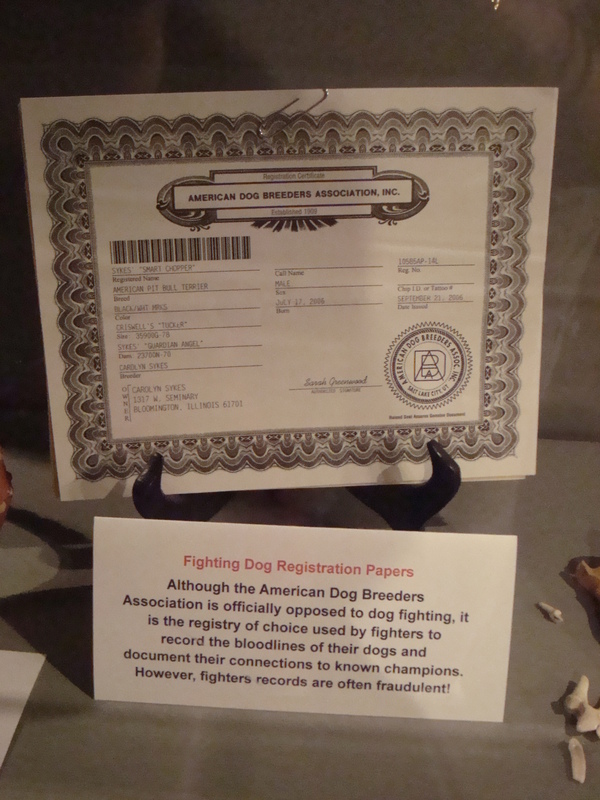 Dogs who were deemed to be unsuitable for fighting were cruelly killed. A 2009 article in the San Francisco Chronicle provides some of the ugly details of the ill-treatment of the dogs. For example, how the dogs were electrocuted by attaching jumper cables to their ears and throwing them into a swimming pool to struggle and die. The sides of the pool had telltale scratches and dents from the dogs as they fought to escape. A big enabler of forgiveness is when an offender expresses regret for their actions and the consequences of them. Unfortunately, there is nothing on the record that shows that Michael Vick understood the cruel nature of some of his offending. In his public statement after pleading guilty to a range of charges, Mr Vick acknowledges that he was ‘immature’ and how he let his fans down. Is this regret for the offending or regret for getting caught? For more details of the case, read the plea agreement and statement of facts which I have also downloaded for you. Michael Vick’s comeback to professional football has come comparatively soon compared to the years he spent offending. Is this right? Or is it the usual story of professional athletes getting put on a pedestal because of their prowess on the sports field? The official record on this case is that Michael Vick has paid his debt to society and is a free man to go about his profession as a professional football player. Is it time to forgive Michael Vick? Only you can decide for yourself after weighing up the facts. For the record: I’m not ready to forgive Michael Vick. He hasn’t shown he’s sorry and with the attention he is now getting for his football play, I doubt he ever will. I have to respect, however, that he is technically a free man. That doesn’t make me happy and I reserve the individual right to protest against any company or franchise that backs him. In my opinion, his lack of true remorse is equivalent to an endorsement of animal cruelty and dog fighting and organisations would do well by distancing themselves from such an individual. I’m not ready to forgive Michael Vick and I don’t want to see him endorsed by any awards programme. 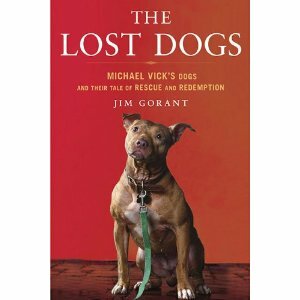 The Lost Dogs: Michael Vick’s Dogs and their Tale of Rescue and Redemption.